WASHINGTON (KGO) -- The more researchers learn about the Zika virus, the scarier it appears, federal health officials say, as they urge more money for mosquito control and development of vaccines and treatments. 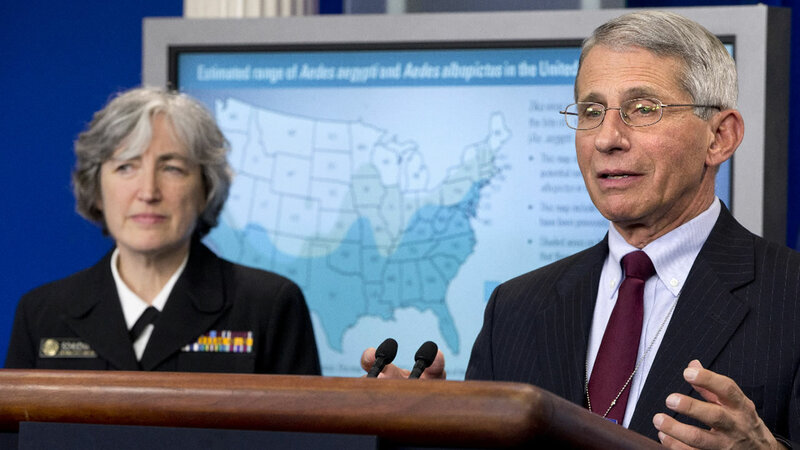 But that "is not enough for us to get the job done," said Dr. Anthony Fauci of the National Institutes of Health, whose agency hopes to have a possible vaccine ready for first-stage safety testing in early fall. "It's just a temporary stopgap," he said. -Researchers also have linked Zika to stillbirths, miscarriages, eye problems and other complications, with problems not only in the first trimester but throughout pregnancy. -Brazilian researchers reported Sunday that Zika preferentially targets developing brain cells. They used stem cells to study embryonic brain development in lab dish, and reported in the journal Science that virus taken from a Brazilian patient destroyed the growing neural cells in a few days. -There's also evidence that some adults occasionally may suffer serious effects from Zika. Researchers already were studying whether Guillain-Barre syndrome, a nerve condition that can cause paralysis, is linked to Zika. And Sunday, another Brazilian research team reported two Zika patients who suffered yet another problem, a brain inflammation that damages the coating of nerve cells in a way similar to multiple sclerosis. More than 300 travel-associated cases of Zika have been reported in the U.S. so far, and the CDC also wants travelers to take extra steps to avoid being bitten by mosquitoes when they come home - so local insects won't pick up the virus and spread it. While CDC does expect some clusters of homegrown Zika to occur, it is working with state and local governments to boost mosquito control. In addition to research into a possible vaccine, Fauci said the NIH is screening medications in the quest for a treatment. A few - 15 of 62 screened so far - show some degree of possible activity against Zika in laboratory tests although "that doesn't mean they're going to turn out to be good drugs," he cautioned.